The Bible contains four lists of the names of the Twelve Disciples of Christ: Matthew 10:12, Mark 3:13, Luke 6:14 and Acts of the Apostles 1:13. They vary slightly as well as the sequence although they list Peter first, even though it was Andrew (his brother) who was called first by the Lord. The number 12 was considered so important that very shortly after the falling of Judas Iscariot, the remaining 11 voted in a new Apostle by the name Matthias, so that there would be 12 once again (Acts of the Apostles 1:15-26). These disciples followed Jesus as He traveled and were eyewitnesses to His numerous wonders. After the Ascension of Christ back to heaven they continued His work of redeeming mankind from sin. In fact at the Ascension Jesus commanded the apostles to go out and make disciples of all nations through baptism and to teach nations all that they had observed and all that He commanded of them (Matthew 28:16-20, see also Acts of the Apostles 1:6-11). He enabled them to succeed in that he bestowed the Holy Spirit upon them (at Pentecost) as they traveled to far away lands. 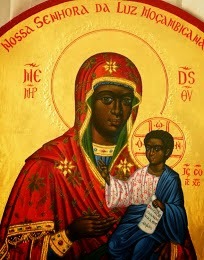 The place of honor accorded to them by the Church has no equal except for that of the Theotokos. They each have their own separate date of commemoration and they have a joint commemoration on June 30, a feast whose importance is shown by the fact that it is preceded by a period of fasting. 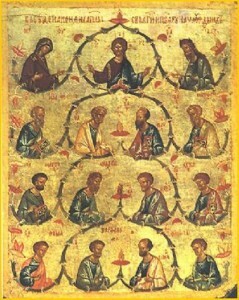 The Feast of the Apostles is called the Synaxis of the Holy Apostles because it follows the Feast of Sts. Peter and Paul, on June 29 (icon). In Orthodox liturgical practice, important feasts are followed by an additional celebration of a saint or saints connected to the feast. For example, on January 6 we celebrate the Feast of Theophany (Epiphany), on January 7, we celebrate the Feast of St. John the Baptist. On March 25, we celebrate the Feast of the Annunciation, on March 26, we celebrate the Feast of the Archangel Gabriel. 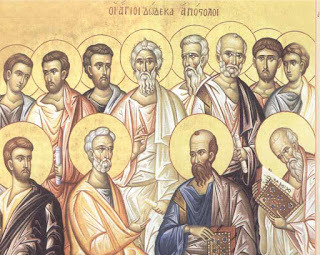 The season in honor of the 12 Apostles is a bit confusing at times for it is a “flexible season.” While the Apostles Fast always ends on a fixed date (June 29) it begins on the Monday that follows All Saints Day, which is a moveable date each year based on the date of Pascha (Easter). 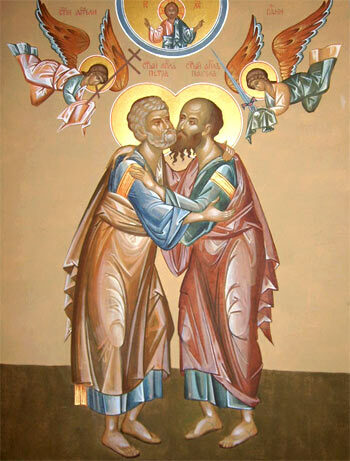 When Pascha is in mid to late April, the Apostles Lent is only a few days in length. When Pascha is in early April, as with this year, then the Apostles Fast is longer. This year it begins on Monday May 31 and runs until June 29, a full 29 days. In 2011 it will be only 9 days in length. The faithful are urged to observe the usual food abstinence, expanded prayer and almsgiving guideline as with the other fasting seasons. The Apostles Fast takes the flavor of the Christmas Fast in that weddings are permitted. The guidelines on restricted food is the “lighter” fasting in that only Wednesdays and Fridays are held as strict fast days and the observance of the Nativity of John the Baptist (June 24) is always a light fast (fish is permitted) no matter what day it falls. Let us rejoice in the ministry of these twelve great men that began the spread of Christianity to the far corners of the earth. Let us remember their sacrifice by our own sacrifice and discipline during the preparatory days ahead in which we are called upon to focus on their commitment and devotion to the Lord’s commandments. Reading the New Testament passages related to the Apostles (see above for some guidance). Apart from the Gospels, most of the New Testament is either about or written by an Apostle of Christ. Especially worth reading during this time is the Acts of the Apostles, since this book deals with the ministry of St. Peter and St. Paul. Read the two epistles of St. Peter in the New Testament. Read any of the Epistles of St. Paul in the New Testament. Read the three epistles of St. John in the New Testament. Study the lives of the Apostles themselves. They each have an independent feast day and their biographies are contained in any collection of the Lives of the Saints. There are many wonderful traditions about their accomplishments in the life of the early Church. O Lord Jesus Christ, our Savior, the personally existing wisdom of God, the Great Light of the world, the Way, the Truth and the Life of mankind, our Teacher and Instructor, Who has revealed the Name and the Will of the Heavenly Father, and Who has proclaimed the words of eternal life, the One Who not only commissioned Your holy Apostles and Disciples to go out and to proclaim the Gospel but also sent upon them the Spirit of Wisdom, empowering them to preach the Gospel to the whole world and to teach all the nations, it is You that we praise and glorify and thank with our whole heart and soul for Your innumerable and priceless benefactions toward us. We thank You, Lord, and we glorify and highly praise Your Holy Name, for You have called us to a holy and sacred mission. You have guided us in the knowledge of Your Truth, and You have empowered us to serve in Your Holy Church for the salvation of mankind, by receiving from You Your Divine words and by transmitting them to who hunger and thirst for Your Truth and Righteousness. Glory to Your Goodness, Glory to Your loving-kindness, Glory to Your condescension to us sinners. Amen. Saint Andrew was crucified on an X shaped cross. 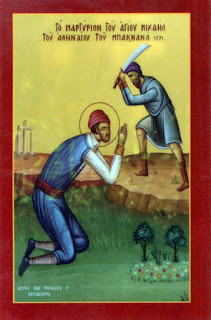 Saint James the Son of Zebedee was beheaded. Saint John the Theologian reposed in a miraculous manner. 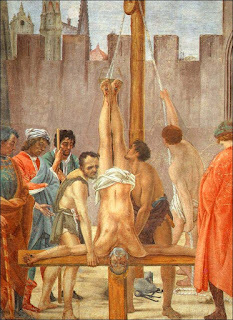 Saint Bartholomew was crucified, flayed and beheaded. Saint Thomas was pierced with five spears. 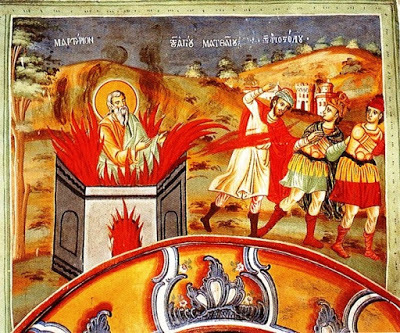 Saint Matthew the Evangelist was burned alive. Saint James the son of Alphaeus was crucified. 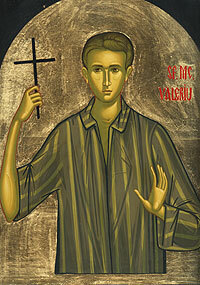 Saint Thaddaeus or June the Brother of St.James was crucified. 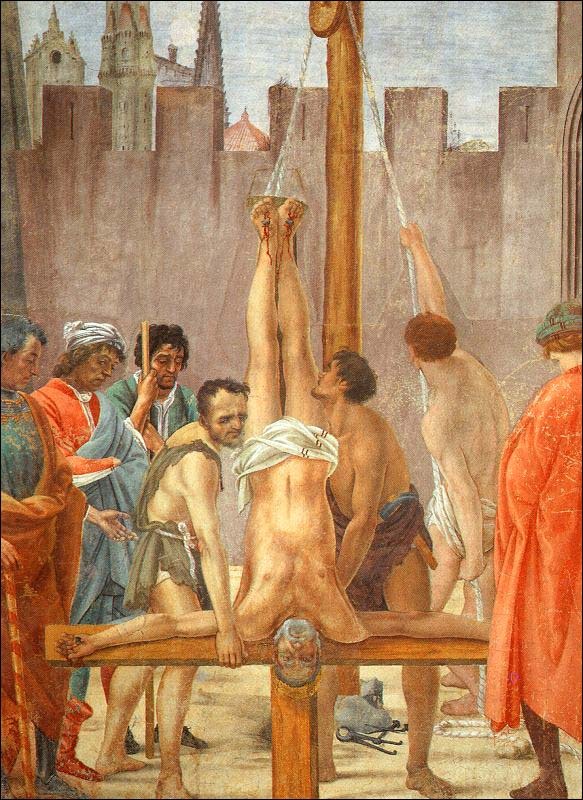 Saint Simon the Zealot was crucified. Saint Matthias was stoned and then beheaded after death. The word apostle comes from the Greek apostello, literally, "to send forth," "to dispatch," has etymologically a very general sense. Apostolos (Apostle) means one who is sent forth, dispatched--in other words, who is entrusted with a mission. Originally a military term referring to a sortie out against the enemy, apostle has in the Christian context come to refer to a missionary spreading the Gospel of Jesus Christ . It is at once evident that in a Christian sense, everyone who had received a mission from God, or Christ, to man could be called "Apostle". In fact, however, those disciples are often designated by the expressions of mathetai (the students since Christ is the Teacher) or (the disciples). In the Epistle to the Hebrews Chapter 3:1, the name is applied even to Jesus Christ, in the original meaning of a delegate sent from God to preach revealed truth to mankind. The word apostle has also in the New Testament a larger meaning, and denotes some inferior disciples who, under the direction of the Apostles, preached the Gospel, or contributed to is diffusion; thus Barnabas (Acts 14:4, 14), probably Andronicus and Junias (Romans 16:7), Epaphroditus (Phil. 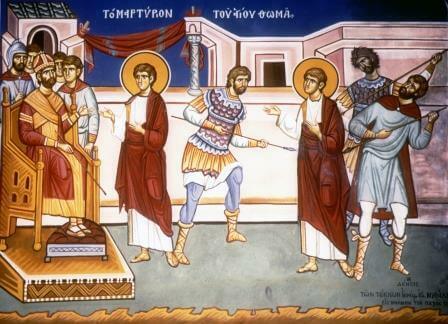 2:25), two unknown Christians who were delegated for the collection in Corinth (2 Cor. 7:23). The Gospels point out how, from the beginning of His Ministry (Diakonia), Jesus called to Him some Jews, and by a very diligent instruction and formation made them His Disciples. After some time, in the Galilean ministry, He selected Twelve whom, as St. Mark (3:14) and St. Luke (6:13) say, "He also named Apostles." The origin of the Apostolate lies therefore in a special vocation, a formal appointment of the Lord to a determined office, with connected authority and duties. The appointment of the Twelve Apostles is given by the three Synoptic Gospels (St. Mark 3:13-19; St. Matthew 10:1-4; St. Luke 6:12-16) nearly in the same words, so that the three narratives are literally dependent. Two of the Synoptic Gospels add to their account of the appointment of the Twelve brief statements on their office: St. Mark 3:14-15--"He appointed twelve to be with Him and to send them to herald, and to have power to heal the illnesses and to cast out demons", St. Matthew 10:1--"He gave them power over unclean spirits so as to expel them, and to heal every disease and every illness." St. Luke where he relates the appointment of the Twelve, adds nothing on their office. Afterwards (St. Mark 6:7-13; St. Matthew 10:5-15; St. Luke 9:1-5) Jesus sends the Twelve to preach the Kingdom and by gives them very definite instructions. From all this it results that the holy Apostles are to be with Jesus and to aid Him by proclaiming the Kingdom and by healing. The nature of the Apostolic mission is made still clearer by the saying of Christ after His Resurrection. "Go ye therefore and make disciples of all the nations, baptizing them in the name of the Father, and the Son, and the Holy Spirit, teaching them to observe all I have commanded you." The Acts of the Apostles and the Epistles written by the Apostles exhibit them in the constant exercise of this office. Everywhere the Apostle governs the disciples, preaches the doctrine of Jesus as an authentic witness, and administers the sacred rites. In order to fill such an office, it seems necessary to have been instructed by Jesus, to have seen the Risen Lord. And these are, clearly the conditions required by the Apostles in the candidate for the place of Judas Iscariot. "Of the men, therefore, who have accompanied us all the time that the Lord Jesus went in and out among us, beginning from the baptism of John unto the day he was received up from us, of these must one become a witness with us of His Resurrection" (Acts 1:21-22). 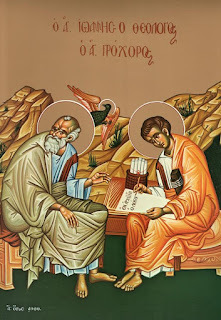 The authority of the holy Apostles proceeds from the office imposed upon them by Our Lord and is based on the very explicit sayings of Christ Himself. He will be with them all days to the end of ages (St. Matt. 28:20), give a sanction to their preaching (St. Mark 16:16), send them the "promise of the Father," "virtue from above" (St. Luke 24:49). The Acts of the Apostles and the Epistles of the New Testament show us the exercise of this authority. The Apostle makes laws (Acts 15:29; 1 Cor. 7:12 sq. ), claims for his teaching that it should be received as the word of God (1 Thes. 2:13), punishes (Acts 5:1-11, 1 Cor. 5:1-5), administers the sacred rites (Acts 6:1 sq. ; 16:33; 20:11), provides successors (2 Tim 1:6; Acts 14:22). 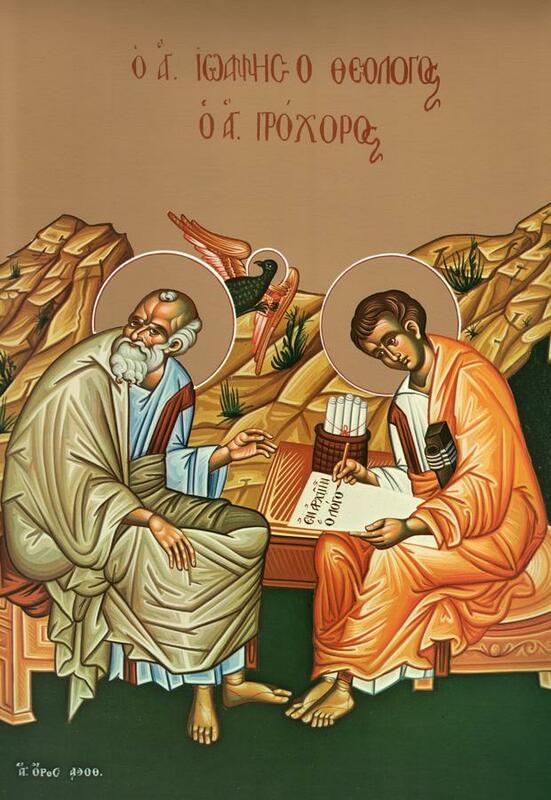 Since the authority with which the Lord endowed the Apostles was given them for the entire Church, it is natural that this authority should endure after their death, in other words, pass to successor established by the Apostle. 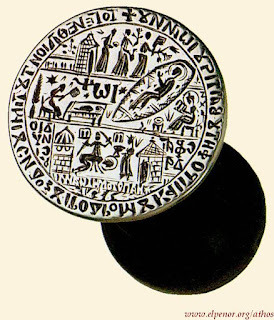 In the oldest Christian documents concerning the primitive Churches we find ministers established, some of them, at least, by the usual rite of the imposition of hands. 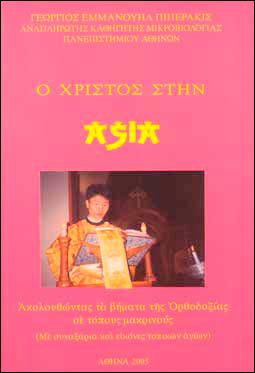 They bear various names: priests (presbyteroi: Acts 11:30, 14:22; Titus, 1:5); bishops (episcopoi: Acts 20:28; Phil. 1:1; 1 Tim. 3:2; Titus, 1:7); proistamenoi: 1 Thes. 5:12; Rom. 12; etc. 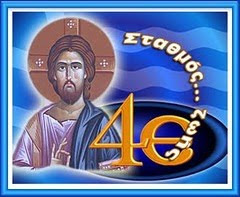 ); heads (hegoumenoi: Hebrews, 13:7, 17, 24; etc. ), and some others. The memorable words of Hebrews, 13:7: "Remember your presidents who preached to you the word of God," have always echoed in the Christian heart. 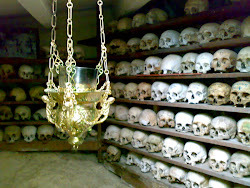 The primitive Churches had a profound veneration for their deceased Apostles (Clement of Rome, Ep. Ad Corinth, v); its first expression was doubtless the devotional reading of the Apostolic writings, the following of their orders and counsels, and the imitation of their virtues. 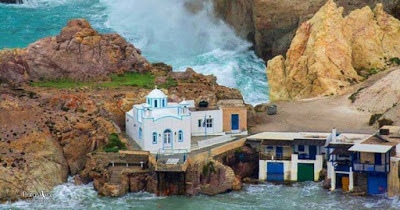 It may, however, be reasonably supposed that some devotion began at the tombs of the Apostles as early as the time of their death or martyrdom, the ancient documents are silent on this matter. Though the anniversaries of some martyrs were celebrated even in the second century, as for instance the anniversary of the martyrdom of Polycarp, bishop of Smyrna (d. 154-156 A.D.). Its only from the 4th century that we meet with the feast of the Apostles. 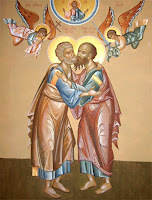 O holy Apostles of Christ Pray to our merciful God, That He may grant us remission of our sins. Today Christ the Rock gladly glorifies the rock of faith, The chosen disciple, together with Paul and the entire company of the Twelve. As we celebrate their memory, We glorify Him Who has glorified them! 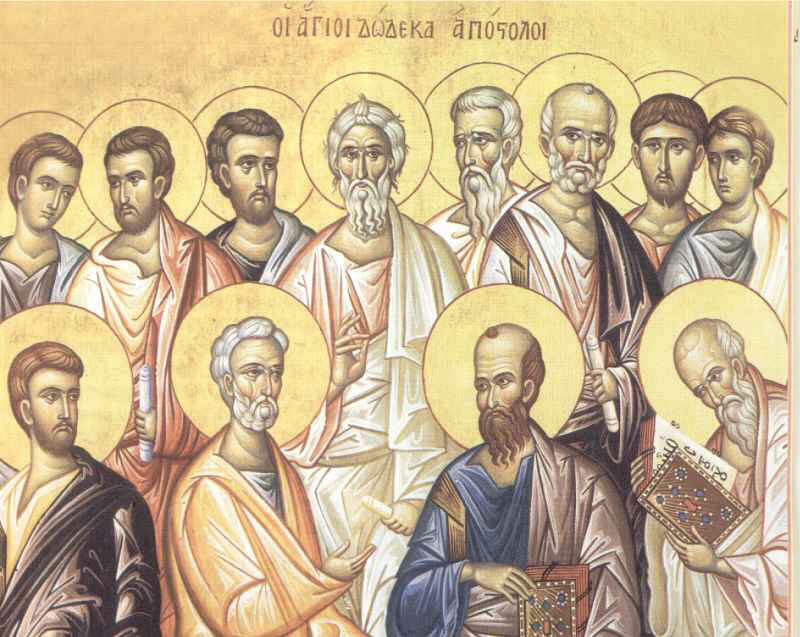 The Seventy Apostles are those whom the Lord chose (described in St. Luke 10:1-16) in addition to the Twelve and sent forth to assist in the work of preaching. Over time, the Twelve added others to their number, who were sent out with the original Seventy to preach the Gospel. Although this number eventually exceeded seventy, they were all nevertheless referred to as "of the Seventy" out of reverence to the number which the Lord originally chose. Their collective feast day is January 4th. "ΝΑΙ, θα τους γιορτάσουμε. Δε χρειάζεται χρήματα ο εορτασμός τους. Μόνο αγώνα για καθαρή καρδιά, ένα κεράκι και μπόλικη ΠΡΟΣΕΥΧΗ για όλα τα θέματα και για την ψυχή μας. Και για τους εχθρούς μας, παρακαλώ, μην το ξεχνάμε..." (από αυτό το παλαιότερο και λυπηρά επίκαιρο post). Άγιοι στις 29 και τις 30 του Ιούνη! Σημ. : Ο άγιος Πέτρος Ορντίνσκυ ήταν πρίγκηπας της Χρυσής Ορδής των Μογγόλων, εχθρός της Ρωσίας. 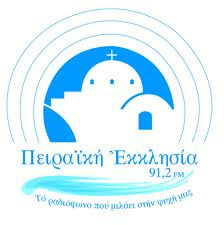 Ὁ Ἅγιος Πέτρος, πρίγκιπας τῆς χρυσῆς Ὀρδῆς, ἦταν ἀνεψιὸς τοῦ Χάνου τῆς Χρυσῆς Ὀρδῆς. Ὅταν, τὸ 1253, ὁ Ἅγιος Κύριλλος († 21 Μαΐου), Ἐπίσκοπος Ροστώβ, ἐπισκέφθηκε τὸν Χὰν καὶ ὁμίλησε γιὰ τὶς ἀνάγκες τῶν ἐκκλησιῶν τῆς περιοχῆς καὶ περὶ τῶν θαυμάτων τῶν ἱερῶν λειψάνων τοῦ Ἁγίου Λεοντίου τοῦ Ροστώβ († 23 Μαΐου), ἔκανε μεγάλη ἐντύπωση στὸν Πέτρο καὶ ἄγγιξε τὴν καρδιά του. 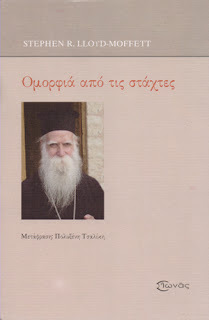 Ἔτσι ἀκολούθησε τὸν Ἅγιο Ἐπίσκοπο, ἐβαπτίσθηκε καὶ ἐνυμφεύθηκε. Στὸ βίο του διακρίθηκε γιὰ τὴν ἀγάπη του στὴν ἡσυχία καὶ τὴν προσευχή. 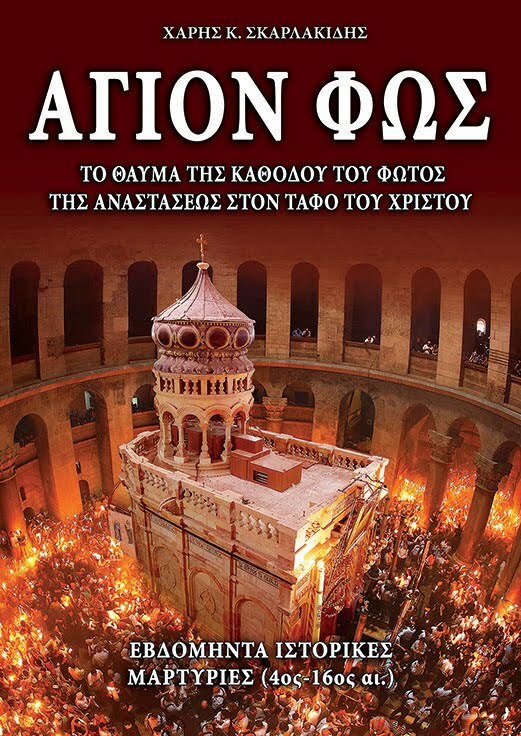 Μετὰ ἀπὸ μία θαυμαστὴ ἐμφάνιση ἐνώπιόν του τῶν Ἀποστόλων Πέτρου καὶ Παύλου, ὁ Πέτρος ἀνήγειρε μονὴ κοντὰ στὴ λίμνη Νέρα πρὸς τιμήν τους. Μετὰ τὸ θάνατο τῆς συζύγου του, ὁ Πέτρος πρέπει νὰ ἔγινε μοναχὸς καὶ ἐκοιμήθηκε μὲ εἰρήνη, τὸ 1290. Αναλυτικά αναφέρεται η βιογραφία του (με εικόνα του) στο εξαίρετο βιβλίο του καθηγητή Ιατρικής Γ. Πιπεράκι Ο Χριστός στην Ασία. Άρθρο του π. Ιω. Ρωμανίδη με θέμα το ενδεχόμενο ανακάλυψης εξωγήινης ζωής. Περίληψη στα ελληνικά: Η Ορθοδοξία δεν θίγεται από μια ενδεχόμενη ανακάλυψη νοήμονος ζωής σε άλλους πλανήτες. Και τούτο, διότι στην αρχαία παράδοση των Πατέρων της Εκκλησίας δεν καλλιεργήθηκε η κατά γράμμα και ανθρωπομορφική ερμηνεία της Γένεσης. Επίσης, δεν επικράτησε η άποψη ότι ο άνθρωπος δημιουργήθηκε τέλειος και ξέπεσε, ούτε ότι το προπατορικό αμάρτημα βαραίνει ως ενοχή όλους τους ανθρώπους. Επικράτησε η άποψη ότι ο άνθρωπος δημιουργήθηκε με την προοπτική της τελειότητας, η οποία ακολουθεί στο μέλλον. Αν λοιπόν ανακαλυφθούν νοήμονα όντα σε άλλους πλανήτες, το ερώτημα είναι σε ποια πνευματική κατάσταση βρίσκονται (από πλευράς αγιότητας) και πόσο έτοιμα είναι να μετέχουν στη δόξα (στο άκτιστο Φως) του Θεού. 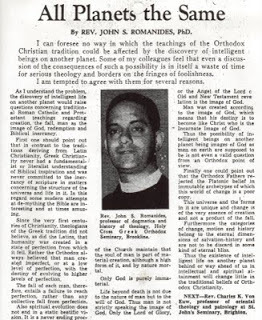 I can foresee no way in which the teachings of the Orthodox Christian tradition could be affected by the discovery of intelligent beings on another planet. Some of my colleagues feel that even a discussion of the consequences of such a possibility is in itself a waste of time for serious theology and borders on the fringes of foolishness. I am tempted to agree with them for several reasons. 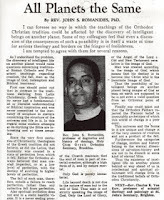 First, one should point out that in contrast to the traditions deriving from Latin Christianity, Greek Christianity never had a fundamentalist or literalist understanding of Biblical inspiration and was never committed to the inerrancy of scripture in matters concerning the structure of the universe and life in it. In this regard some modern attempts at de-mything the Bible are interesting and at times amusing. Since the very first centuries of Christianity, theologians of the Greek tradition did not believe, as did the Latins, that humanity was created in a state of perfection from which it fell. Rather the Orthodox always believed that man [was] created imperfect, or at a low level of perfection, with the destiny of evolving to higher levels of perfection. 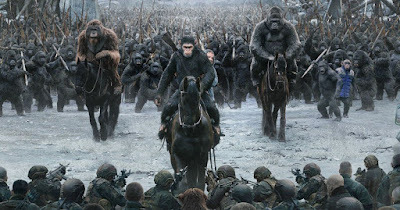 The fall of each man, therefore, entails a failure to reach perfection, rather than any collective fall from perfection. Also, spiritual evolution does not end in a static, beatific vision. It is a never-ending process which will go on even into eternity. Orthodox Christianity, like Judaism, never knew the Latin and Protestant doctrine of original sin as an inherited Adamic guilt putting all humanity under a divine wrath which was supposedly satisfied by the death of Christ. Thus, the solidarity of the human race in Adamic guilt and the need for satisfaction of divine justice in order to avoid hell are unknown in the Greek Fathers. This means that the interdependence and solidarity of creation—and its need for redemption and perfection—are seen in a different light. God is light for those who learn to love Him and a consuming fire for those who will not. God has no positive intent to punish. For those not properly prepared, to see God is a cleansing experience, but one which does not move eternally toward higher reaches of perfection. In contrast, hell [hades] is a static state of perfection somewhat similar to Platonic bliss. In view of this, the Orthodox never saw in the Bible any three story universe with a hell of created fire underneath the earth and a heaven beyond the stars. For the Orthodox, discovery of intelligent life on another planet would raise the question of how far advanced these beings are in their love and preparation for divine glory. 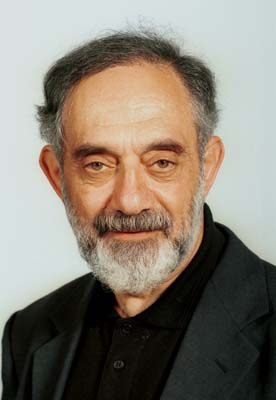 As on this planet, so on any other, the fact that one may have not as yet learned about the Lord of Glory of the Old and New Testament, does not mean that he is automatically condemned to hell, just as one who believes in Christ is not automatically destined to be involved in the eternal movement toward perfection. It is also important to bear in mind that the Greek Fathers of the Church maintain that the soul of man is part of material creation, although a high form of it, and by nature mortal. Only God is purely immaterial. Life beyond death is not due to the nature of man but to the will of God. Thus man is not strictly speaking the image of God. Only the Lord of Glory, or the Angel of the Lord of Old and New Testament revelation is the image of God. Man was created according to the image of God, which means that his destiny is to become like Christ who is the Incarnate Image of God. Thus, the possibility of intelligent beings on another planet being images of God as men on earth are supposed to be is not even a valid question from an Orthodox point of view. Finally, one could point out that the Orthodox Fathers rejected the Platonic belief in immutable archetypes of which this world of change is a poor copy. This universe and the forms in it are unique and change is of the very essence of creation and not a product of the fall. Furthermore, the categories of change, motion, and history belong to the eternal dimensions of salvation-history and are not to be discarded in some kind of eternal bliss. 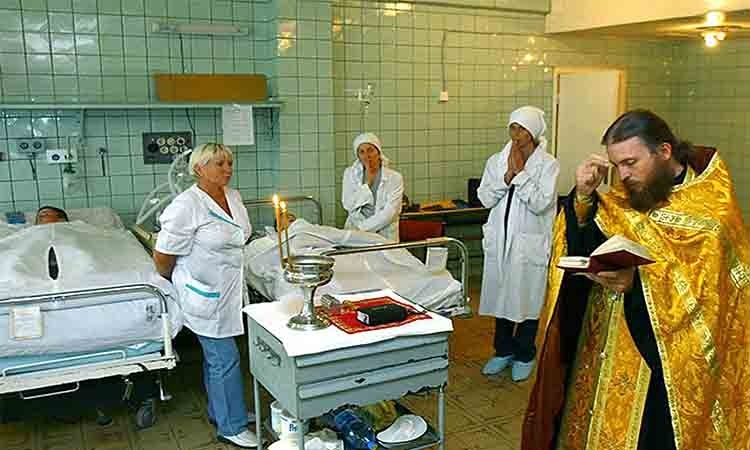 Thus, the existence of intelligent life on another planet behind or way ahead of us in intellectual and spiritual attainment will change little in the traditional beliefs of Orthodox Christianity. Θεόδωρος Ζιάκας, Ομιλία κατά την παρουσίαση του βιβλίου του Stephen R. Lloyd-Moffett Ομορφιά από τις στάχτες, στο «Εν Πλώ», στις 19-5-2017. Η Κοινότητα του πολιτισμικού Εμείς έχει τρεις πυλώνες: Την Πολιτική, την Πίστη και την Παιδεία. Αν γκρεμιστεί η κολώνα της Πίστης θα πέσουν αργά ή γρήγορα και οι άλλες δύο. Η κοινότητα όμως της Πίστης μπορεί να αναγεννήσει κοινότητες Πολιτικής και Παιδείας, αν έχουν διαλυθεί. Άρα, το πώς μια κοινότητα Πίστης μπορεί να αναγεννιέται και να ανανεώνεται, είναι το πιο κρίσιμο πολιτισμικό ζήτημα. Το βιβλίο του Μόφετ είναι ανεκτίμητο ακριβώς ως προς αυτό. Αίσθηση έχει προκαλέσει η συνέντευξη που παραχώρησε στον ΣΚΑΙ στην εκπομπή "Δικογραφίες" ένας από τους πιο γνωστούς και σκληρούς Έλληνες κακοποιούς, ο Κώστας Πάσσαρης, ο οποίος κρατείται στις φυλακές της Ρουμανίας. Στις αθεϊστικές φυλακές της Ρουμανίας (και β΄ μέρος εδώ). Τα δικά μας γενέθλια, όλα, οδηγούν σε κοινό τέλος: στο θάνατο (επειδή αυτή είναι η κατάληξη της κοινής ανθρώπινης ζωής). Τα γενέθλια των τριών αυτών ιερών προσώπων οδηγούν στην ανάσταση, δηλ. στην κατάργηση του θανάτου και στην αιώνια ζωή. Η σημερινή μανία - προσθέτουμε εμείς - να γιορτάζουμε με υπερβολική λαμπρότητα τα γενέθλια των παιδιών μας (που έτσι τα κάνουμε να νομίζουν πως είναι το κέντρο του κόσμου και αυτή τη θλιβερή ψευδαίσθηση έχουμε κι εμείς γι' αυτά, βλάπτοντάς τα κατά βάθος) και συγχρόνως να υποβαθμίζουμε τη γιορτή του αγίου τους (που δεν είναι "ονομαστική τους εορτή", ούτε "σήμερα γιορτάζουν οι Γιώργηδες, οι Μαρίες, οι Δημήτρηδες" κ.τ.λ., όπως τραγικά απαντούν κάποια παιδιά, έφηβοι ή και ενήλικες, όταν του ρωτήσεις τι γιορτή είναι σήμερα) είναι ένα λιθαράκι προς την αλλοτρίωση, την αποκοπή από τις (άγνωστες πλέον) πνευματικές ρίζες μας και την κατάρρευσή μας. Για τα δικά μας γενέθλια ας μη μιλήσω: όσο μεγαλώνουμε, τόσο πιο θλιβερά και μοναχικά μας φαίνονται. Όμως η γιορτή του αγίου μας, εκτός από τα μηνύματα που προσφέρει και από τη σύνδεσή μας με αυτόν, επίσης δεν είναι και μοναχική: όλοι οι χριστιανοί τον συνεορτάζουμε. Αυτό δεν σημαίνει ότι ποινικοποιώ τα γενέθλια ή ότι ισχυρίζομαι πως είναι αμαρτία να γιορτάζουμε τα γενέθλια των παιδιών μας, αφού μάλιστα έχουν περάσει τόσο έντονα στη ζωή μας. Αλλά επισημαίνουμε πως είναι λάθος να υποβαθμίζεται η γιορτή των αγίων μας και γενικά οι χριστιανικές μας γιορτές έναντι των γενεθλίων. Αυτά. Βοήθειά μας ο άγιος Ιωάννης και όλοι οι άγιοι του Θεού. Δείτε και το άρθρο παρακαλώ. The Cross is the heart of our salvation. It is on the Cross that we see the fullness of God’s love and it is in the Cross that we are united to that same love. Every Christian shares the commandment, “If any man would come after me, let him deny himself, take up his cross and follow me.” (Matt. 16:24) This commandment long ago passed into the common stock of cultural proverbs. 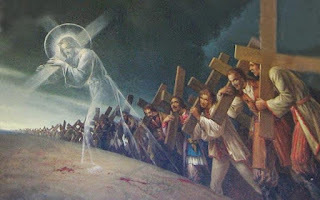 “To bear one’s Cross” has come to mean something of a passive resignation to a difficult, even distasteful situation. 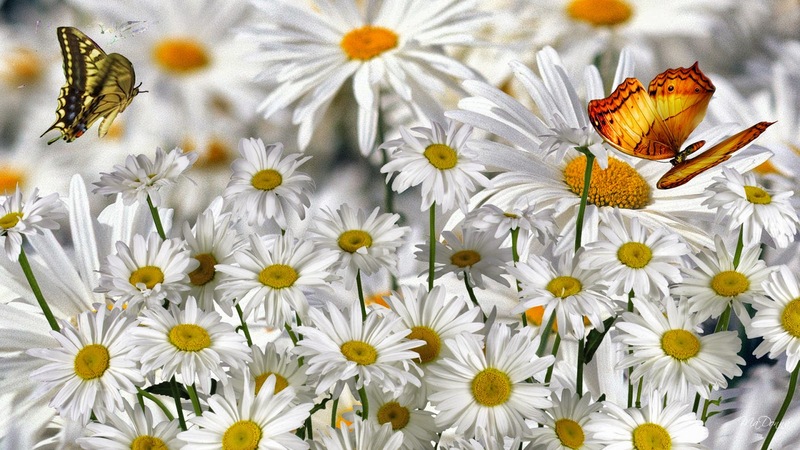 There is almost nothing in it to inspire the heart. Of course, this seeming familiarity with the concept obscures the depth of Christ’s teaching and alienates our understanding from one of the most essential parts of our discipleship. St. Paul writes in virtual ecstasy when he says, “…that I may know Him and the power of His resurrection, and the communion of His sufferings, being conformed to His death!” (Phil. 3:10) What are we missing? But people, slowly, slowly, with time, become stronger; grace strengthens their nature, and they begin to practice this in some measure. But there is another way, for people living in the world: to keep thanking God continually, thus: “I thank Thee, O Lord, for all the things that Thou hast done for me”, and so on, adding at the end, “. . . though I am unworthy.” This brings the same result, the same state. Psychologically, it is more acceptable and has the same effect, because thanking God continually intercedes for our weakness before Him, makes up for our weakness. I believe that this is a more accessible way for people living in the world. And when we are strengthened by grace, the same grace will teach us. We must never forget that “one is our Teacher, even Christ” (Matt. 23: 10) (from The Enlargement of the Heart, Mt. 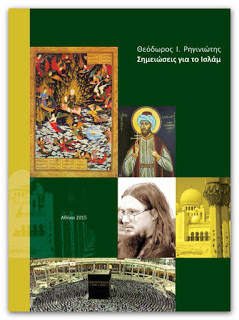 Thabor Publishing, 2012). It is in following this path described by Fr. 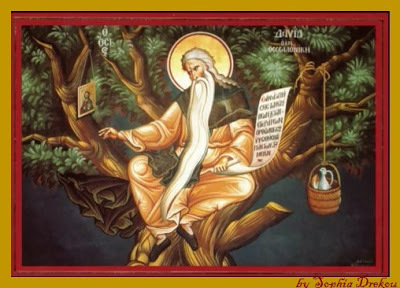 Zacharias that I advocate so frequently and strongly the practice of giving thanks always and for all things. I believe that many find this rather troublesome, perhaps reminiscent of certain Evangelical/Pentecostal practices. In some of those circles, giving thanks is seen as a spiritual weapon (and it certainly is). But that weapon is viewed as part of an overall panoply of practices designed to protect us from adversity and to promote success and prosperity. In Orthodoxy, this is not the case. In Orthodox practice, the giving of thanks is a union with Christ in the Cross. In our normal cultural practice, we give thanks to people who give us desirable things. We extend this to God, and gladly offer thanksgiving when the things in our lives are suitable to our needs and wants. This practice of thanksgiving treats God’s purpose in our lives as nothing more than an assurance of health, prosperity and protection against adversity. This is little more than a magical paganism and is alien to the Cross. 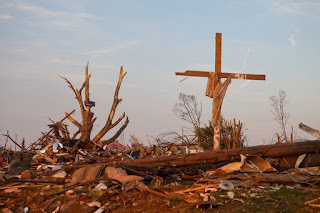 In many parts of the Christian world, the Cross has been reduced to nothing more than an atonement device, the means by which our (legal) sins are forgiven. As such, it has nothing to do with a way of life. It renders statements such as, “Take up your Cross and follow me,” meaningless. 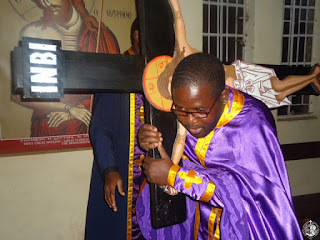 However, the Cross is repeatedly presented to us (particularly in St. Paul) as a way of life, and the full expression of the “mind of Christ” which should be ours. Our modern, magical Christianity can make no sense of St. Paul’s ecstatic desire to know the communion of Christ’s sufferings. Is St. Paul suggesting some sort of masochistic cult? We must be clear: St. Paul and the Christian tradition in no way suggest self-harm as a means of devotion. Those occasions in history where this has been practiced are aberrations. There is always sufficient suffering in this present life through which we may know the communion of Christ’s suffering without intentionally adding to it. The key is what we do with the suffering that is ours. O Lord, grant that I may meet all that this coming day brings to me with spiritual tranquility. Grant that I may fully surrender myself to Your holy will. At every hour of this day, direct and support me in all things. Whatsoever news may reach me in the course of the day, teach me to accept it with a calm soul and the firm conviction that all is subject to Your holy will. Direct my thoughts and feelings in all my words and actions. In all unexpected occurrences, do not let me forget that all is sent down from You. Its theme is directed primarily at the acceptance of the day. It assumes that each day will bring its own “fatigue” and “unexpected occurrences.” It does not ask for a list of good things. Indeed, it is rightly assumed that God only wills us good and that He knows our needs better than we ourselves. I always took note that my beloved father-in-law said ‘Give us this day our daily bread’ is enough. As he related many years later to one of his spiritual children, at the time of this inner battle he suffered two nervous breakdowns as a result of the warfare against the temptations of fear, anxiety, and worry. His whole body trembled and he was, overall, in a very bad state. He took this as a warning from God and resolved to change his way of life and drop all earthly cares and worries. 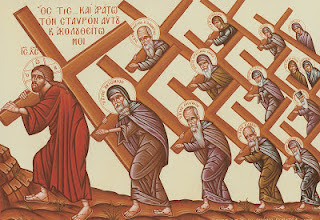 “I realized that we all worry about ourselves too much and that only he who leaves everything to the will of God can feel truly joyous, light, and peaceful.” Thus, having learned to leave all of his cares and those of his neighbors in the hands of the Lord, he patiently bore the cross of serving as abbot at the Patriarchate of Pech for the next six years (from Our Thoughts Determine Our Lives, St. Herman of Alaska Brotherhood, 2011). The acceptance of God’s will is the very heart of giving thanks. To give thanks is to recognize first that what has come your way is a gift, and second, that the giver of every gift is the good God. 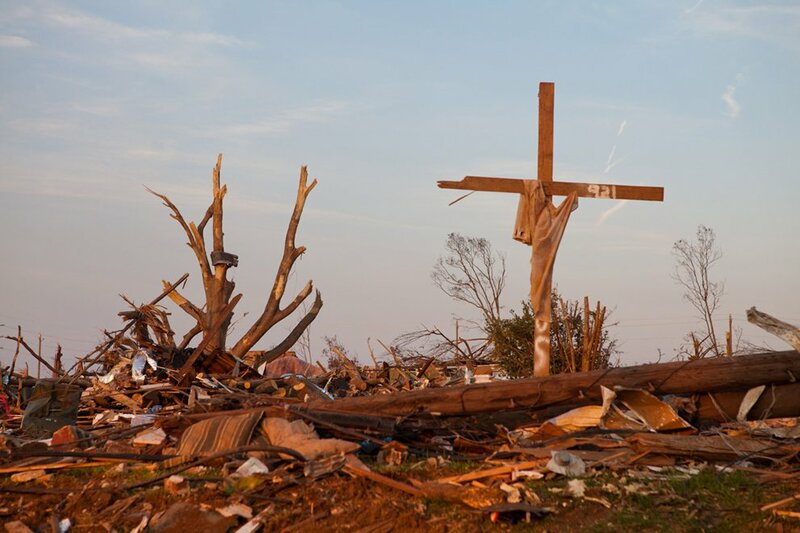 Within this prayer, we unite whatever it is that has come our way with the Cross of Christ itself. As we embrace it, making the sign of the Cross, the event itself is transformed into the Cross. Indeed, I think of it as a “sacrament” of the Cross. It is frightful to demons to see a Christian so embrace suffering. Recall how Satan was defeated by Job who refused to curse God in his circumstances. Pentecost – a frontal assault on Hades!